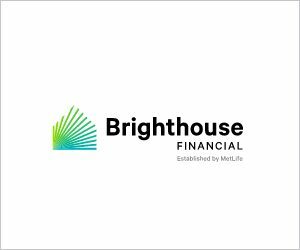 CHARLOTTE, N.C. – January 15, 2019: Brighthouse Financial® (Nasdaq: BHF) today announced that it will be among the first companies to offer annuities through the Envestnet Insurance Exchange (iX), a program that integrates insurance solutions into the wealth management process on the Envestnet platform. The collaboration with Envestnet reflects the company’s push to provide a simpler advisor experience at every touch point and across every channel. First announced in May 2018, the Envestnet iX aims to seamlessly connect select insurance carriers and established account processing vendors with Envestnet enterprise clients, allowing advisors to deliver cohesive and consistent holistic advice by incorporating insurance solutions into the wealth management process. The exchange will service large financial institutions, including bank wealth management, independent advisors, broker-dealers and Registered Investment Advisors (RIAs), among others. To fully integrate annuity solutions into the Envestnet platform, Envestnet has partnered with Fiduciary Exchange LLC (FIDx), an industry-changing platform that unites insurance carriers and wealth management platforms. Brighthouse Financial will initially offer the fee-based version of its flagship Shield product, Brighthouse Shield Level℠ Select Advisory Annuity, through the Envestnet iX and plans to add a broader range of annuity solutions to the platform in the future. Brighthouse Financial (Nasdaq: BHF) is on a mission to help people achieve financial security. As one of the largest providers of annuities and life insurance in the U.S., we specialize in products designed to help people protect what they’ve earned and ensure it lasts. Learn more at brighthousefinancial.com. Annuities issued by Brighthouse Life Insurance Company, Charlotte, NC 28277 and, in New York only, by Brighthouse Life Insurance Company of NY, New York, NY 10017. Product availability and features may vary by state. Envestnet, Inc. (NYSE: ENV) is a leading provider of intelligent systems for wealth management and financial wellness. Envestnet’s unified technology enhances advisor productivity and strengthens the wealth management process. Envestnet empowers enterprises and advisors to more fully understand their clients and deliver better outcomes. Envestnet enables financial advisors to better manage client outcomes and strengthen their practices. Institutional-quality research and advanced portfolio solutions are provided through Envestnet | PMC, our Portfolio Management Consultants group. Envestnet | Yodlee is a leading data aggregation and data analytics platform powering dynamic, cloud-based innovation for digital financial services. Envestnet | Tamarac provides leading rebalancing, reporting and practice management software for advisors. Envestnet | Retirement Solutions provides an integrated platform that combines leading practice management technology, research, data aggregation and fiduciary managed account solutions. More than 92,000 advisors and 3,500 companies including: 15 of the 20 largest U.S. banks, 43 of the 50 largest wealth management and brokerage firms, over 500 of the largest Registered Investment Advisers, and hundreds of Internet services companies, leverage Envestnet technology and services. Envestnet solutions enhance knowledge of the client, accelerate client on-boarding, improve client digital experiences and help drive better outcomes for enterprises, advisors and their clients.